ChiroTouch is a cloud-based electronic health records (EHR) and practice management solution designed for the chiropractic industry. It features appointment management, claims management, billing and invoicing, patient account management, reporting, and more. In this article, we covered user reviews and pricing. Ready to try ChiroTouch? Request a demo. Users who gave ChiroTouch a positive review said that the program’s interface is easy to navigate. Many also liked the ease of setting up daily schedules, checking patients in and out, accepting payments, and processing insurance. One user who gave ChiroTouch a positive review on Capterra said that the platform is pretty straightforward to use. He mentioned that the system works effectively from scheduling and assessment to billing and payment processing. He also said that searching for patient information is a breeze. 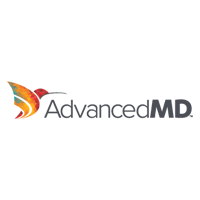 Users who gave ChiroTouch a critical review reported experiencing system outages or bugs after updates from time to time. Some also complained about the inconsistent quality of customer support. One user who gave ChiroTouch a critical review on G2 Crowd said that the platform looks and feels outdated. He also mentioned that system glitches and shuts down sometimes cause long delays in patient care. ChiroTouch costs $249 per month. There is a one-time setup fee (undisclosed on their website) and a minimum 12-month agreement required to start a subscription. There is no extra cost per user, provider, or workstation. The plan includes software, training, and data conversion. The package also comes with unlimited providers, users, and patients. Ready to try ChiroTouch? Request a demo. Yes, ChiroTouch is HIPAA-compliant. All information areas are password-protected and each member has his or her own secure login information. Are system updates completely free of charge? Yes. 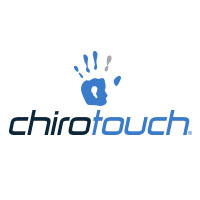 ChiroTouch rolls out updates regularly for free. The new features, enhancements, and regulatory updates are added automatically in the system. Additional cost may occur for system customization. Not sure if ChiroTouch is the right fit for you? 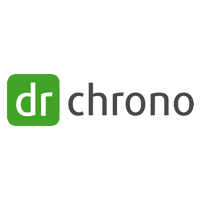 Read our reviews of all top EMR software providers or check out one of these three ChiroTouch alternatives. Customer service is excellent. I think I’ve spent over 100 hours on the chat with them having fix things. I signed up for their cloud option, which they kindly shut down on me shortly after. I wasted a great deal of money digitizing records and transferring thousands of records to the cloud only to have to spend hours and thousands of dollars pulling them out of the cloud to put into ChiroTouch on a server. I was then informed my current computers would work and the system would work wirelessly. This turned out to not be true. I put thousands of dollars into all new computers. Then they said it needed to be wired so spent thousands wiring the entire office. Then they said it was the router so I got a new one of those, then it was the internet company causing problems. 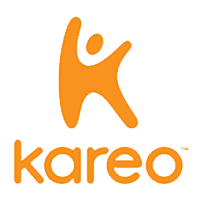 I wouldn’t get this software unless you have the money to pay a full time IT person. Today it was supposed to auto update and didn’t and the guy said I had to schedule auto updates. I’m not sure why you have to schedule an auto update, it makes it just like the old system. Now I’m stuck in a contract until the end of the year. Likely will switch to ChiroFusion. The product is ridiculous, too bulky, cannot make compliant notes. The company is ridiculous and only out to profit on the chiropractic profession. 15000 + 249 month is crazy! I found a product (Office Ally) that is better and is only 29.95/month and includes a FREE electronic claims clearing house! Run away from chirotouch as fast as you can! That they were out to screw the profession! The Chirotouch agents for the most part are friendly. even when they are not friendly , they still help solve the issue. as many places some reps seem like they know whats best and they don’t listen to the issue at hand. Nothing really all questions prior to purchasing were answered.